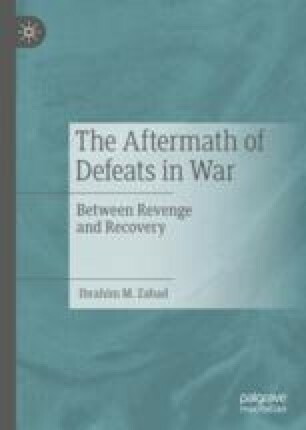 The introductory chapter is divided into two main sections: the first explains why defeats in wars should be treated as a unique outcome worthy of research and then explores and evaluates the various strands of writings on defeats and their aftermath. The second section introduces the theoretical framework that explains why nations react to defeat the way they do. Concepts and variables are defined along with the mechanisms that operate to create a particular reaction to defeat. Defeats in wars are humiliating experiences; however, national humiliation does not necessarily trigger aggressive nationalism, it only creates a fertile ground for radicalization—which will be actualized only if it is filtered through three variables: national self-images, political parties, and international opportunities and threats.